Week 2: A ‘bloody’ good start! A Rubik’s Cube – The 3D puzzle made up of a 8 sides of 3×3 cubes, all with different colours. The aim – Make all sides one solid colour. 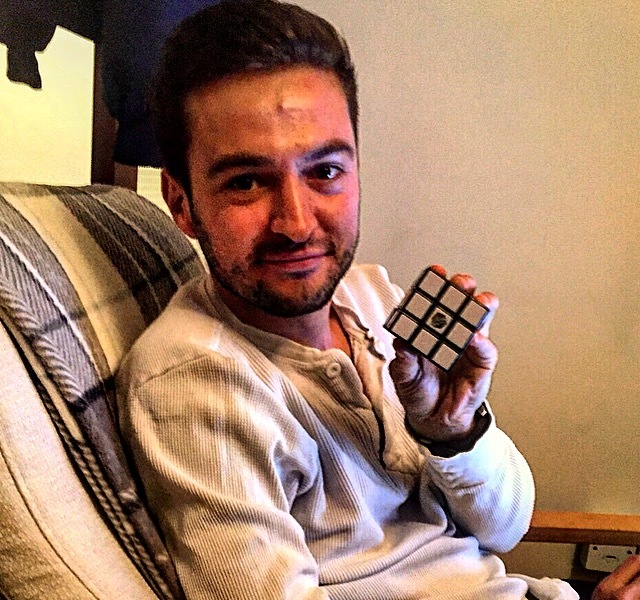 A Rubik’s Cube was suggested, when coming up with challenges, as a way to test both my concentration and patience. You, like myself, have probably heard the stories of people picking up a Rubik’s Cube and completing it in 10 minutes. 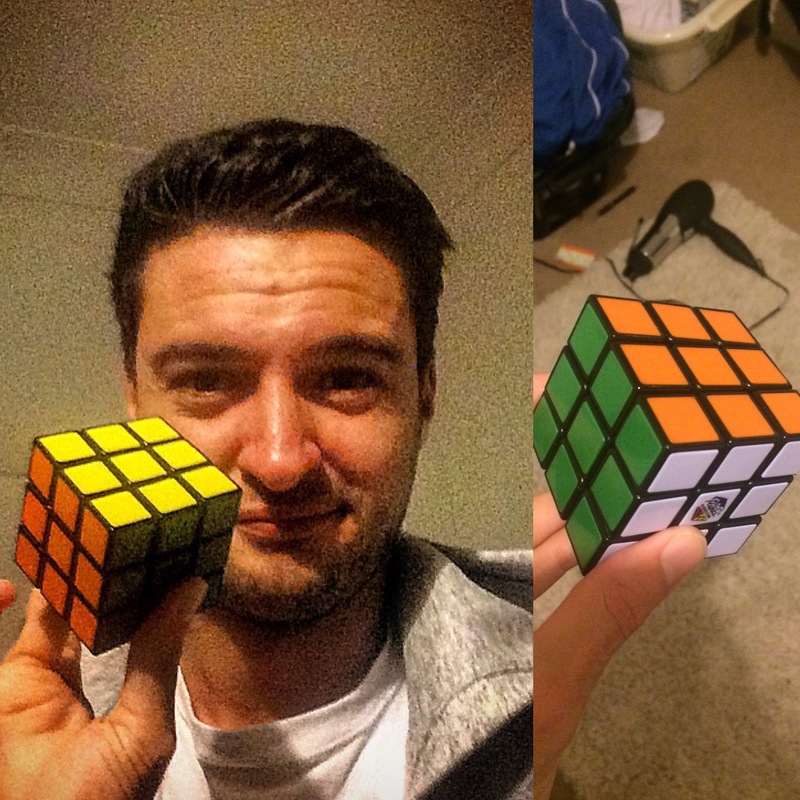 The success stories of making this cube look easy. I’m fairly good with logic and completing puzzles, I once completed ‘The River Test’, which I’m told only 10% of people on the planet complete. So in truth, I thought a Rubik’s cube wouldn’t be THAT hard. To give you a bit of background, Erno Rubik, the inventor of the cube a month to complete it. There are 42 quintillion different states the cube can be in, but only state that is correct. It took my nearly five minutes to realize this was going to be hard. My original aim was to complete the Rubik’s Cube in one weekend. In reality, I was so optimistic with this ambition. It took me lots of reading of tips and persistence getting used to the cube to work out how to do it. You must first start of by building through the levels, starting at the bottom. Remembering the each, middle piece on each side, represents the colour of that side. Starting with the white side you must complete the bottom of the cube, being sure to pay attention to the colour that the each other piece must match too. Repairing your mistakes is key, and often going over your tracks is the key with it. The common error I was going with was constantly moving the side facing me when trying to solve. I found it to be important to keep this side constant to remember each move and mistake you had to repair. You would then build up the levels making sure everything begins to match, before finally finishing on the top. It certainly got harder as you got closer to finishing as mistakes could prove costly and you could have to start again. It eventually took me near on 2 months to complete the cube, just the 1440 hours more than I had anticipated. Within these hours was endless frustration at both myself messing it up and people thinking they would have a go (you know who you are). 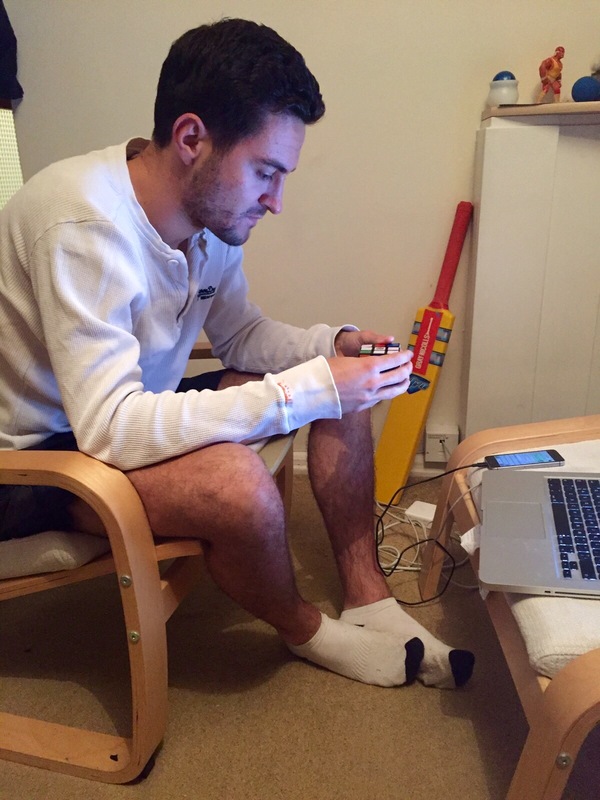 I was determined to complete it, and an evening dedicated to complete it, saw me celebrate finishing like I had just won the World Cup for England. My patience was certainly tested, but the reward was sweet.